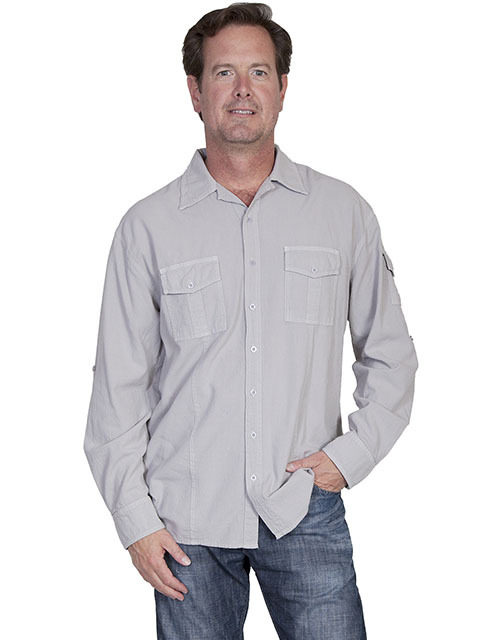 This lightweight and soft cotton shirt features a button front with point collar. It has two classic gusseted chest pockets with button down flaps, but what sets this shirt apart is the button down flap pocket on the left sleeve. This shirt also has a sleeve rollup option that has a tab with button closure to hold it in place.